AGM (Assistance Group Menasa) a newly established company in JLT, Dubai is urgently looking to hire an Indian Male or Female Accountant/Admin with prior accounting experience (necessary) with good written and communication skills in English. Maintain up-to-date billing system, accounts receivable customer files and records. Preparation & recording of invoices and follow up with clients for timely payments. Preparing Bank Reconciliation, Payroll processing and calculation of overtime pay for staffs. Ensure smooth operations of accounting process, General Ledger, Account Receivables, Account Payables & Payroll. Preparing Trial Balance, Profit & Loss A/c and Balance Sheet. Monthly Finalization of Financial Statements including Balance Sheet & profit & Loss Account. Carry out clerical tasks and errands to assist others, ordering office supplies. Office related backend admin support which may be required from time to time. • Collate supplier invoices into weekly and monthly payment runs, streamlining payment processes wherever possible. • Ensure all supplier bills are appropriately authorised for payment, and process payments when authorised. • Record supplier payments and office expenses in MYOB/QuickBooks accounting software, coding to appropriate accounts. • Report to partners on a monthly basis as regards overdue accounts. • Ensure account statements are sent to all clients with an outstanding balance at least once a month. • Chase up overdue accounts via phone, letter and email. • Document all account chasing activities in a manner that can be readily accessed and viewed by other staff. • Reconcile all bank accounts on a fortnightly basis. • Reconcile all loan accounts on at least a quarterly basis. • Maintain confidential records for all employees, including employment declarations. • Distribute pay advices to employees. • Track employee leave accruals. • Reconcile and make monthly PAYG payments. • Reconcile and make monthly superannuation payments. • Reconcile and prepare payment summaries at end of year. • Process end-of-year payroll in QuickBooks, with assistance if required, archiving payroll records. • Assist in preparing annual budgets and entering these into QuickBooks company file. • Prepare draft monthly financial statements and email to Accounts Supervisor. • Work with Accounts Supervisor to review figures and provide information as requested. • Liaise with IT Support to ensure QuickBooks Company files (both current and archived) are backed up offsite at least once a week. • Maintain a subscription to QuickBooks software, and update software on an annual basis. We are looking for an accountant/book-keeper to handle all accounts including payroll and accounts received and payments for a small hotel ownership company. Qualified candidates may apply with their resume. 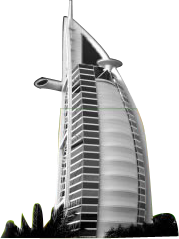 We are based in Downtown Dubai. We are looking for a skilled Junior Accounting Clerk to perform a variety of accounting, bookkeeping and financial tasks. Accounting Clerk responsibilities include keeping financial records updated, preparing reports and reconciling bank statements. You will also run accounting software programs (e.g.QBM) to process business transactions, like accounts payable and receivable, disbursements, expense vouchers and receipts. We urgently need Accounts Assistant with Tally ERP experienced and knows how to works with the software. Bachelors Degree. Our office timings from 9-6pm with 2days weekly off.